The PVCMed Alliance represents all parts of the PVC medical industry chain, namely resin & plasticiser producers and PVC converters. The Alliance was established in 2012. The vision that informs the PVCMed Alliance’s work is of a healthcare environment that best benefits patients and healthcare professionals. Such an environment offers the finest PVC-based products and applications with the required properties and excellence needed to provide top quality health care while being environmentally sustainable. Brigitte Dero obtained her PhD in Molecular Biology in 1988 by working on a special programme of the World Health Organisation on parasitic diseases. She then focused on metals by specialising in toxicology at the Atomic Energy Commissariat in France and in ecotoxicology in the Netherlands. She subsequently began working for the Belgian cadmium-producing industry, and she joined EUROMETAUX, the European Association which represents the non-ferrous metals industry vis-à-vis the European Institutions. After nine years representing the metals industry, she joined Cefic in 1999, where she became Director of the Plastic Additives Platform and ESPA's secretary general. Currently, Dr. Dero is General Manager of ECVM and VinylPlus®. Ole Grøndahl Hansen is a Master of Arts in literature from University of Copenhagen, Denmark. Since 1995 General Manager of PVC Information Council Denmark. Ole has been working with PVC-related issues for almost a quarter of a century. Main areas of interest are the use of PVC in medical applications, recycling, social media, and PVC in art and design. Since 2012 Project Manager of PVCMed Alliance. 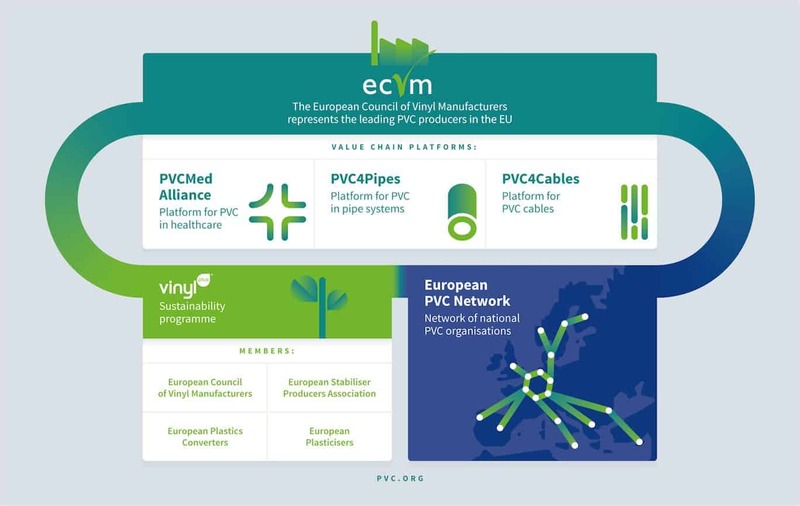 PVCMed Alliance is organised under the umbrella of the European Council of Vinyl Manufacturers.